← Friday Finds….New Podcast from Sparkle Stories!!! The most popular question I have been asked lately is, “Are you all set with your curriculum for next year?” This question makes me both laugh and sweat at the same time. The short answer is “No”, I don’t have a set curriculumn picked out for next year but I do have loads of ideas of things we will work on and methods in mind for learning certain skills. Z and I have set a date for a “Map of the Year” Day where the family will sit down together (just like in Martin and Sylvia from Sparkle Stories fame) and make a big poster of all things we want to learn over the year. This poster will include things that Lil’C, Mom and Dad want to learn over the year as well. We will then take this poster and make some goals for each of us. These goals will be important as we move forward to check in on and see how we are doing. My big project for the summer (other than getting recertified as a teacher) has been to get our space organized. 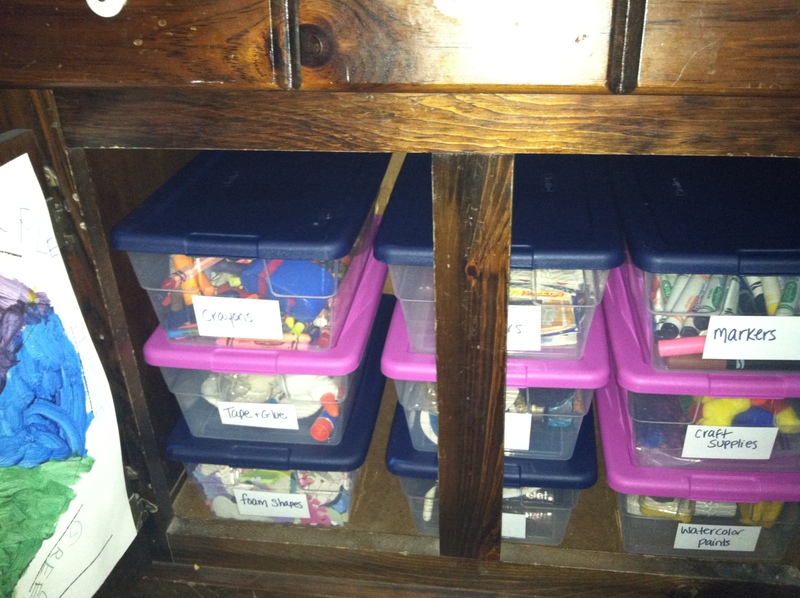 I have spent hours organizing our books, craft supplies and have created cubbies and boxes for the kids to store their homeschool things. I know that this might not seem like the most important thing in the world of homeschooling, but for me it is important. I function better in an organized space and so this time was very valuable for me. This time spent over the summer has already made my life so much easier in terms of the kids creative time and it is so nice to know where everything is! So our space is organized, I have loads of ideas for things we will do next year, Z is signed up for some great homeschool classes and we are so looking forward to our “Map of the Year” Day. I might not have a curriculum set for Homeschool but we are ready to go!